Al-Iryani was a prominent figure in Yemen for more than 45 years with a political cult status. As the nephew of the second president of Yemen after the revolution, he found himself in a privileged position to participate in building the institutions of the Yemeni state. He died on the 8th of November in self-imposed exile and weakened by the troubles in Yemen. He was buried in Sana’a. Al-Iryani’s political legacy is unmatched in Yemen and rare for Arab statesmen. 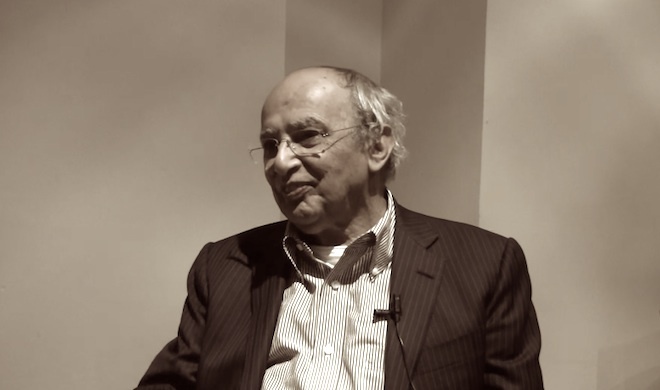 While Northern Yemen indulged in civil war after the revolution in 1962, Al-Iryani accomplished his education in the United States with a Ph.D. from Yale in 1968. He married a year later upon returning to Yemen to join public service. At that time, he was among a handful of people holding a postgraduate certificate, let alone a doctorate from one of the West’s most prestigious universities. When the civil war ended in 1970, Al-Iryani held different high-rank positions like minister of development or education. Under the rule of the former Yemeni President Ali Abullah Saleh (1978-2011), he become his close associate and the frontman of the Yemeni civil state and diplomacy. In the 1980s and 90s, he was minister for foreign affairs for 13 years and prime minister for 7 years. Later und until his death, Al-Iryani was a personal adviser to the former president, but also to the current controversial president Hadi. The impressive record of Al-Iryani shows a rare example of the deep influence of knowledgeable technocrats in the 20th century’s state-building exercise of the Middle East. Al-Iryani was respected across political landscapes. His death was mourned by almost all conflicting parties, a quite seldom moment of unity during this time of civil conflict. Despite accusations by Saleh’s party against Al-Iryani supporting Hadi and the Saudi intervention, Saleh attended his funeral service in Sana’a defying the airstrikes by the Saudis. The new president Hadi sent his condolences from Riyadh. Generations of Yemenis have grown up hearing legends about the ’tiny man from the government’, Al-Iryani was only 160cm tall. He was said to speak 10 languages, to be a genius, and the architect behind key institutions and development policies. For sure, he was not known for fiery speeches or political gesturing. He rarely appeared in the media. The ’keeper of the Yemeni state’ was rather soft-spoken, analytical but also a humble person and passionate about his cause, eradicating poverty and stimulating his country’s development. When the Arab Spring arrived, Al-Iryani saw this change positively. He once explained the “three Ms” as the driving factors behind Arab revolutions: misrule, mismanagement and mistreatment. During the political transformation of Yemen after the protests of 2011, he supported the relinquishing of power by Saleh and the compromise agreement brokered by Saudi Arabia. Al-Iryani spoke out in favor of change, but did not take sides. Thus rarely was any political party angered by the nation’s beloved statesman. Until his last days, Al-Iryani was leading the political future of the civil state in Yemen despite his long service. He died at the age of 80. He was at the head of the UN-led National Dialogue concluded in 2014 before the takeover of the Houthi rebels later that year. He called the takeover a “flaw for the state” angering some of the Houthi leadership. Al-Iryani talked repeatedly about his idea of constant renewal of the country. He was a blunt advocate of strong institutions and a civil society, free from interventions of tribalism and sectarianism. His vision for the country did not materialize but, for many Yemenis, it lives on in their aspirations and civil struggle for a better place in the world.